By Bart from South Jersey. I bowl in a league and can carry my team mates ball. Does it have anything to keep the balls in place like a Velcro strap? It will have molded ball cups and dividers to keep the balls in place. Hello! The dimensions for this roller are 11.25"x15"x30.25" with handle down, and 41.25" when handle extended. 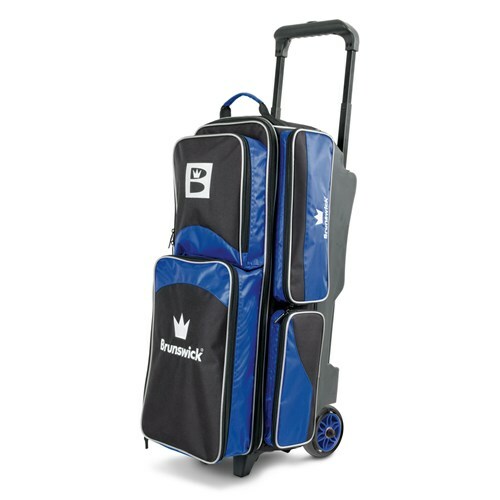 Due to the time it takes to produce the Brunswick Edge Triple Roller Blue ball it will ship in immediately. We cannot ship this ball outside the United States.